Home » Tagged "shuttle ds57u3"
The Shuttle NC02U is a new mini PC. This amazing PC has been designed from the ground up for commercial use . It makes a great media player, epos computer, or office PC. Its features a robust design, support for 2 screens, and great connectivity. The Shuttle NC02U is a perfect commercial mini PC. 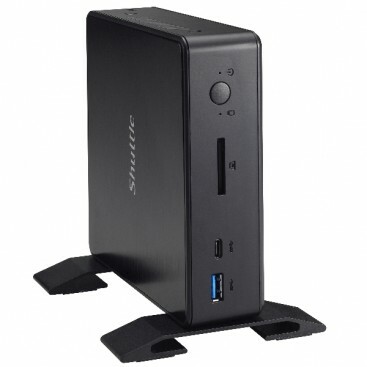 Read the blog to find out more details on this great addition to the Shuttle mini pc family. 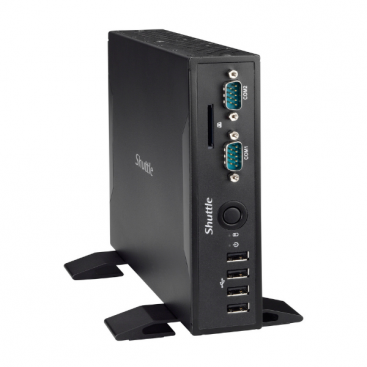 We have just posted an article on the Shuttle DS57U3 PC. This innovative mini PC brings core i 3 perforamance in a passively cooled chasis, and offers the perfect specification and features for a commercial use media player, epos computer, or office PC. Its features a fanless design, support for 2 screens, and even upto 4k video output on a single screen.Reliabilty is improved by the fanless design, and if an SSD is installed, the PC has no moving parts. In summary, the Shuttle DS57U3 is a perfect commercial mini PC. Read the blog to find out more details on this unique and multitalented model.